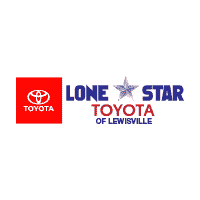 This 2018 Toyota Sequoia Platinum is proudly offered by Lone Star Toyota Want more room? Want more style? This Toyota Sequoia is the vehicle for you. There's a level of quality and refinement in this Toyota Sequoia that you won't find in your average vehicle. You've found the one you've been looking for. Your dream car. You can finally stop searching... You've found the one you've been looking for. Contact Lone Star Toyota today for information on dozens of vehicles like this 2018 Toyota Sequoia Platinum. Want more room? Want more style? This Toyota Sequoia is the vehicle for you. Pull up in the vehicle and the valet will want to parked on the front row. This Toyota Sequoia is the vehicle others dream to own. Don't miss your chance to make it your new ride. This is about the time when you're saying it is too good to be true, and let us be the one's to tell you, it is absolutely true. The Toyota Sequoia Platinum will provide you with everything you have always wanted in a car -- Quality, Reliability, and Character.